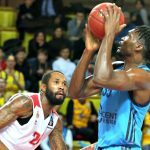 Round 3 of the 7Days EuroCup Top 16 was completed on Wednesday with 10 teams taking to the hardwood to battle for those all-important spots in the quarterfinals. 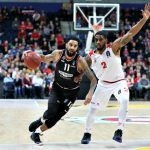 In Group E ALBA Berlin bagged a key road win over Rytas Vilnius, 86-94. They are now tied with AS Monaco with identical 2-1 records, while Rytas are now at 1-2, sharing the bottom of the group with BC Partizan. 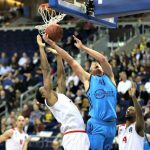 Luke Sikma had a well-rounded game, dropping 19 points, 12 boards and six assists for ALBA Berlin. Rokas Giedraitis shot an efficient 8-of-13 from the field to finish with a game-high 23 points on the night. 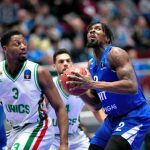 ASVEL stayed perfect in Group F action and put the Fraport Skyliners Frankfurt (0-3) in dire straits with a 58-70 win on the road. Their strong defense limited the Skyliners’ output. Theo Maledon paced ASVEL with 15 points. 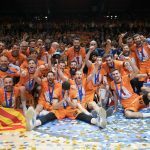 Valencia continued their strong play in the competition and claim the top spot of Group G with a 3-0 record thanks to an impressive win over Crvena Zvezda Beograd, 92-76. They’re on a seven-game winning streak and have looked sharp so far. All they need is just one more win to punch their ticket to the quarterfinals. Red Star falls to 1-2 in the top-16 and are now third in the group. Bojan Dubljevic flirted with double-double as he led Valencia with 14 points and eight rebounds. Four other teammates managed to crest the double-digit scoring mark, thanks to the team’s 22 assists in the game. 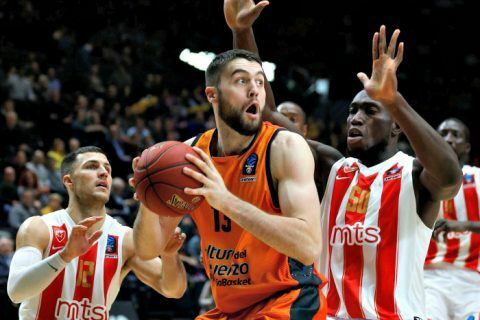 They had seven more than Crvena Zvezda, who are noted for their own brand of tight defense complemented by unselfish play. This game was out of the norm as Joe Ragland bore most of the scoring burden for Red Star with a 21-point performance.